School: Gymnasium – School year starts in September, High school is a great place to meet some great new friends. 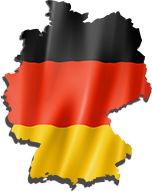 Gymnasium- school starts 8am – 2pm weekdays German is the spoken language in Germany and best if you should know some German or take some classes before you leave. If you are a beginner in German language our 3 week Study tour departing January, April and September school during school holidays. Edibility You should be between 15 and 17 years old, provide a good school report and have a good background in the German language. You need to be open minded, ready to observe and adapt. You must be able to approach others and be prepared to create a new circle of friends. And, you need to be open to behaviors different from those you are accustomed to. Sports: Schools will offer various sports and may include skiing, volleyball, football, hockey, soccer. Music is part of the school and there are many clubs you can join and play in a team. Host Family Life : German families are caring and welcoming. Each family is carefully chosen by our host family coordinator in Germany interviews the family in their home. Host families will show you all the great sightseeing hot spots and really include you in the family. Families may live in the larger cities, local village or mountains. They are keen to have you come and stay and experience German life. Families do many activities together, cycling, hiking, visiting museums, shopping, movies. Leisure Time, Weekends, Sightseeing: leisure time and fun. Lots of great things to do in Germany. 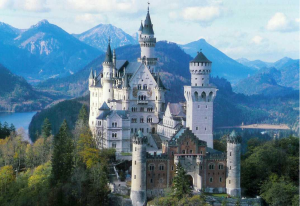 Live the culture, visit Germany great history, every town has an icon to visit see the world’s famous Castle “Neuschwanstein Castle” in a beautiful fairytale town of Fussen in the Black forest area or visit the most talked after Wall – the Berlin wall. Immersion with a local German family and visit Heidelberg the University city of Germany.